A distinctive design that embarks the advent of a highly modernized era of infrastructures, Vatika City Center is an epitome of excellence in itself by all means. With a lush of greenery surrounding the peripheries of its framework, City Center unfurls the essence of environment friendly practices that are put to use in its premises, making it even better at the foundation.Talking of Environment friendly practices, Vatika City Center is backed by Enviro’s green support and integrated facilities management services in maintaining its surroundings to the utmost best. Enviro’s dedicated and learned staff ensures great maintenance practices that embellish the look of the vicinity like sparkling ornaments. With the use of right pesticides and periodic watering of plants, the greenscape at City Center is healthily maintained every season; the reason why the premise looks surprisingly alive throughout the year. The eye opening part about Enviro’s facilities management services are that of STP’s (Sewage Treatment Plant) and Rainwater harvesting. Unlike others, Enviro believes in paying back to the environment in the dearest of ways possible. It holds a a strong Sewage treatment plant at the base of the framework that treats grubby water and delivers it in a clean and usable condition for other operational purposes inside of the building which may include its supply in the washrooms, cafeteria and also for landscaping and horticulture purposes. Besides, there are also installed underground pits and roof top reservoirs that store rainwater in its purest of form and save on excessive water usage from an external source. The water is organically collected in these reservoirs and propagated ahead through a network of pipelines for purposes that best fit the said needs. Additionally, the beauty around the premises are maintained with 100% organic manure generated from vermi-compost pits installed across each condominium at Vatika. The vermi-compost pits are a collection of a variety of worms, dried leaves and broken twigs, that collected together in a deep pit make for great manure for plant growth. Located on NH 8 in Sector 83, INXT City Centre adjoins the intersection of NH 8 with Dwarka Expressway (NH 8A). It is already witnessing a mob of occupants who are relishing the services and showing interest in the building operations as well. Besides the external embellishment, Enviro’s staff also ensures a smooth working atmosphere by means of being readily available for any demand at the floor. Be it housekeeping, pantry operations or waste management, the staff looks after every aspect of the story making it 100% environmentally compliant. It is interesting to see how the energy management efforts are shaping up in the infrastructure. There are strict guidelines to follow on the do’s and dont’s which are also available with great assistance if any. In addition to this, Enviro has taken up health initiatives for every occupant of the building. By sharing remedies on health management and sticking up interesting facts on the walls that trigger one to go the healthier way, Enviro is driving major changes in the lives of people and collaborating to the employee wellness activities for the biggest part. 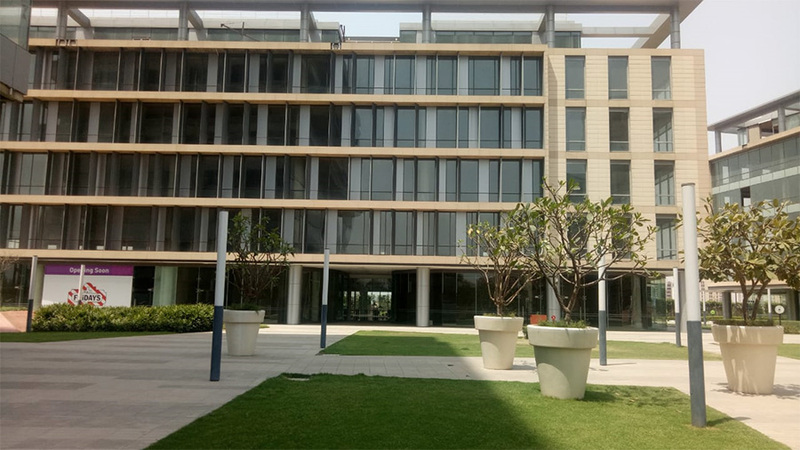 Vatika City Center is one of its own kind and is expected to see some amazingly great transformational changes with respect to facilities services as Enviro ups its ante’ and serves as a spring board in leveraging City Center’s operational output.